Management: Aaromedia - aaromwilson@outlook.com Bookings: Premier Artists - Glenn Stewart - Glenns@premierartists.com.au Whatever you think you know about punk rock, chuck it out the window and grin as you watch it smash to smithereens; Scalphunter are here to obliterate expectations. With a blistering live show and a unique ability to steal the hearts of fans of all musical persuasions, it’s no surprise Blunt Magazine featured Scalphunter as one of their 20 Bands To Watch in 2014. True to predictions, the band gathered a growing legion of new admirers last year, turning their sets into passionate celebrations of music at key events (click for reviews) like RTRFM’s legendary In The Pines, HyperFest, WAM Festival Opening Party, Beaufort Street Festival, A Not So Silent Night and The Bakery’s last ever New Years Eve show. 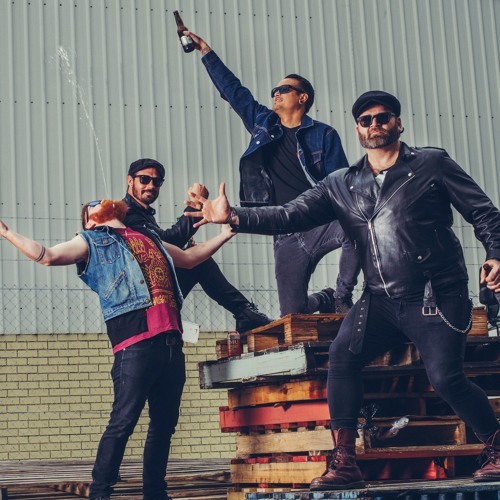 Sharing a lust for hard, fast, ear shattering rock’n’roll, Scalphunter’s big year saw them the most nominated punk-based band in the 2014 WA Music Awards, with three WAMis noms. The band received a nomination for Punk Act Of The Year for the second year running, as well as one for Rock Act Of The Year, plus their controversial YouTube-banned There Will Be Change was also up for the Most Popular Music Video award.